Jeff Canoy, correspondent of ABS-CBN Broadcasting Corp. and winner of the prestigious Marshall McLuhan Fellowship, will speak to mass communication and senior high Media Literacy students at Silliman University during a convocation February 15 to open SU Mass Com Week, said Melita C. Aguilar, Acting Dean of the College of Mass Communication (CMC). 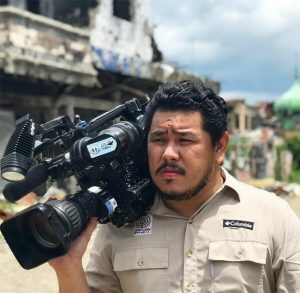 Canoy has been awarded the McLuhan Fellowship by the Embassy of Canada in the Philippines for his “outstanding coverage of the six-month siege of Marawi City in 2017.” He is famous for covering major conflicts, humanitarian and natural disasters. 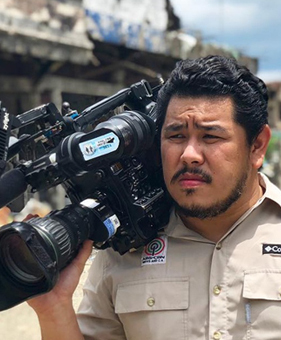 He has also won many national and international awards for his broadcasting work and has completed journalism programs at Lauder School of Government in Tel Aviv, Israel, and Columbia University in New York. As part of his McLuhan Prize, Canoy delivered lectures around Canada on the topic: “Reporting from the Margins: The role of journalism in covering crises and conflict situations.” He is expected to discuss the same topic during his lecture at Silliman, including the significant role of media as watchdog to strengthen democracy and rule of law.